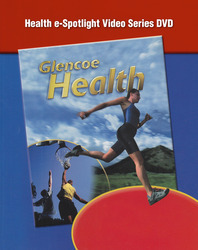 The Health eSpotlight Video Series DVD is a flexible technology option that enables you to customize videos to the way you teach health, providing video footage for every lesson! Videos are organized by lesson and health skill, and are the perfect way to launch a discussion, to preview chapter and lesson material, or to serve as an enrichment activity. Activities for each video can be found in the Teacher Wraparound Edition.